New York City Mayor Bill de Blasio isn't ruling out a 2020 presidential run but said he's currently focusing on his job. 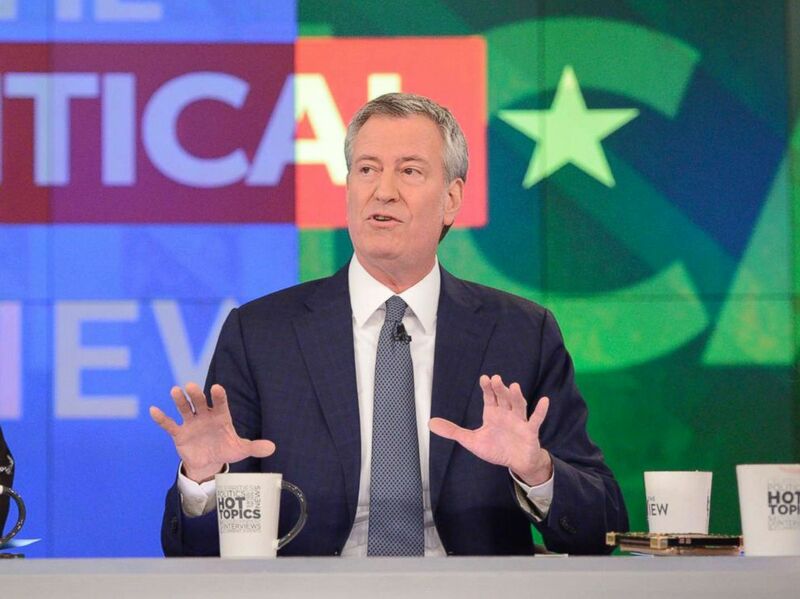 "I'm mayor of New York City," de Blasio said in an interview on ABC's "The View" on Wednesday. "That's what I'm focused on." As announcements of presidential campaigns begin to ramp up, de Blasio has been eyed as a potential 2020 candidate. De Blasio said he believes everyone should have a right to health care. "Let's face it, the emergency room is the family doctor now for millions and millions of Americans," de Blasio said. "And tax dollars pay for it. It is expensive, it's backwards and it means people get really, really sick before they ever seek help." That's why de Blasio said he unveiled a new health care program last week that would guarantee health care to all city residents, regardless of their ability to pay or immigration status. 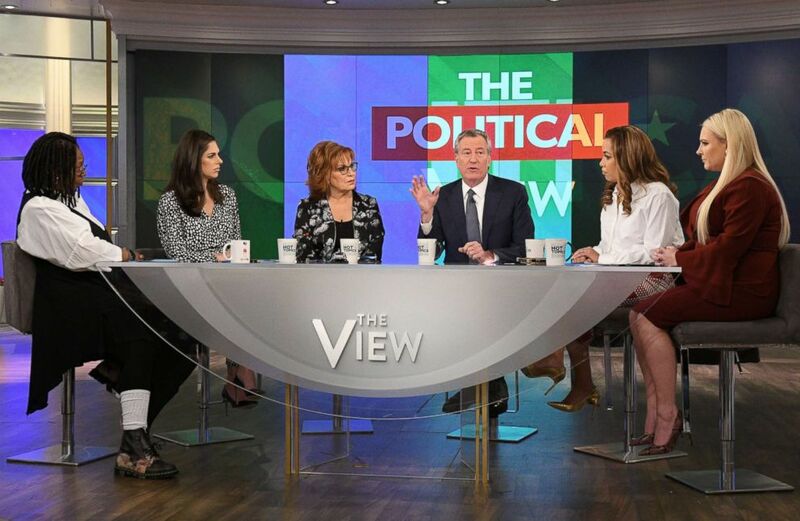 New York Mayor Bill de Blasio appears on ABC's "The View," on Jan. 16, 2019. 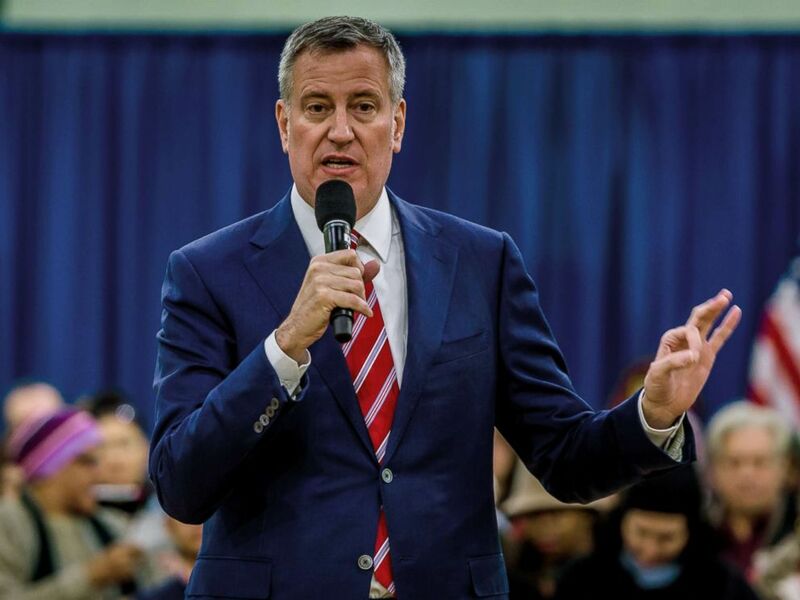 The program will be called NYC Care, and will provide health care for an estimated 600,000 New Yorkers who currently don't have health insurance, including about 300,000 undocumented New Yorkers "who are our neighbors," de Blasio said. "If they get sick, everyone gets sick. If the whole community isn't healthy, then we all suffer," de Blasio said. "That's the blunt reality of this country — undocumented immigrants are part of our economy." Undocumented New Yorkers will receive a health care card and have access to a primary care doctor through the program, de Blasio said. Co-host Meghan McCain questioned how well NYC Care will work compared to flaws in federal-run health care programs, like the Veterans Administration's. "We're closer to the ground and we're accountable to our own people," de Blasio said in response. Eric Phillips, De Blasio's press secretary, tweeted that while the city already has a public option for health insurance in place, NYC Care will pay "for direct comprehensive care… for people who can’t afford it, or can't get comprehensive Medicaid." The program, which will begin this summer, is starting in the Bronx and will have a 24-hour hotline available. It's estimated to cost the city $100 million a year, but de Blasio said he thinks it will save the city money in the long run. "Right now we're hemorrhaging money because we’re giving healthcare the backwards way," he said. The mayor has also recently proposed legislation that would give two weeks of paid time off to all workers. If the City Council approves de Blasio's proposal, New York City would be the first U.S. city to require paid vacation. De Blasio also touted the city's reduction in traffic fatalities last year to the lowest it's been since 1910, with the addition of miles of bike lanes throughout the city.